Last March, I attended a 3-day international convention in Hong Kong. It was a great experience being able to travel again after some time, thanks to the joys of fatherhood. Not that I am complaining. 🙂 It dawned on me when I was in Hong Kong that I missed travelling. Maybe next time, I’ll bring the whole family to Disneyland so we can all enjoy together. It was my first time attending an international convention and describing the whole experience as OVERWHELMING is a HUGE understatement. The 3-day event was held at the Asia World Expo, a really big arena where almost tens of thousands of people have gathered together. It was really an eye-opening experience for me just absorbing everything, from the excitement of all the other nationalities representing their own countries, all the way from Japan, Australia, Singapore, Korea, Malaysia, and more. It was really nice being able to represent my country the Philippines, as delegates to the event. Here’s my wife and I getting up close with delegates from Australia. Some of my mentors were invited to speak at the convention and it was really surreal seeing them talk in front of thousands of different nationalities, inspiring them that if you pour your heart into something, anything is possible. It was truly an awesome experience. A month after the convention, a huge breakthrough in my business happened and we received our biggest recognition so far. Never in my wildest dreams have I imagined that one day I will grace the stage of Araneta Coliseum and be awarded in front of tens of thousands of excited and screaming crowd. Here’s a short video of the awarding ceremony. Project 100 Update: 2 down, 98 more to go! Around May this year, one of my friends in Singapore earned $1,000+ in a month and became the second person to do it as part of Project 100. In as much as I would like to take the credit for it, the reality is that majority of what he achieved was because of his own hardwork, dedication and self-initiative. Mentoring someone from overseas is a challenging task, and it only works out if someone at the other end is self-initiating and has the drive to put in the EFFORT & TIME, and willing to be coached without any regard for ego, pride or mindless excuses. Watch out for the featured story on the project 100 graduates in the coming weeks. As they say, "save the best for last." Last year, the greatest miracle of our lives happened and my son Ethan Gabriel was born. Now, more than a year after, another dream has come true. 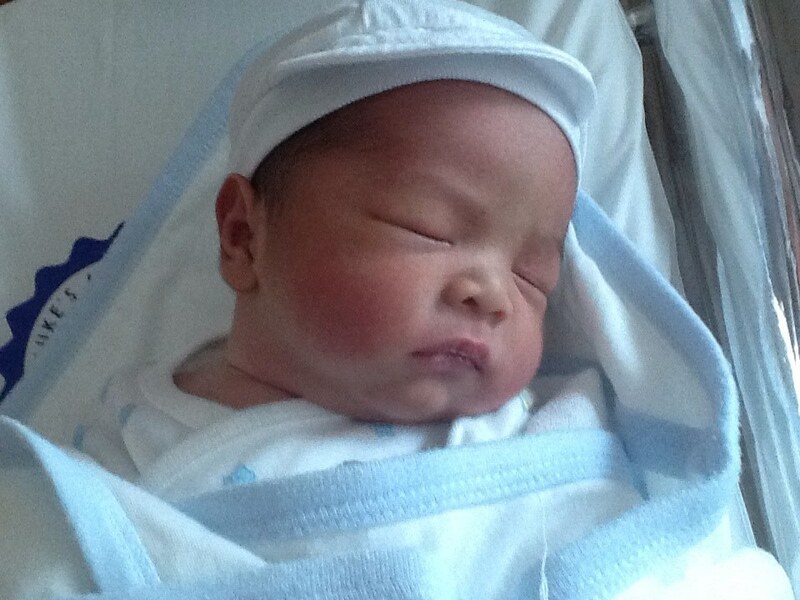 Last Tuesday, my wife gave birth to our second son Ervin Daniel. Truly, there’s no greater gift than the gift of family. It’s only been almost half-a-year and the blessings have already been overflowing! Thank you Lord! Of course, the past months have not been without challenges, but that’s life, all the challenges only make the journey all the more sweeter and enjoyable. In the end, everything is all for the greater glory of God. How about you? How’s your first-half of the year so far? P.P.S. I’m currently expanding my business and I’m looking for 4 new partners. Some of my existing business partners in Makati, Singapore and Japan are now earning an extra $200 – $1000 a month part-time as part of my growing team. I am looking for 4 serious people who I can work with. If you would like to work with me, drop me an email or add me as friend in Facebook and PM me so we can schedule some time to get to know each other and see if we can do business together. This business is obviously not for everyone, only for those people who want to work hard and pursue a legal and ethical way to earn money. Not for those looking for a get-rich-quick scheme. If you are looking for a get-rich-quick way to make money without putting in any effort, time or money, please don’t bother contacting me. I can tell you right now, this is not for you. So please save us both the time. The first time I offered something like this, my mailbox got so many inquiries that it took me 3 days to go through all of them. So if you don’t receive a reply from me within 24 – 48 hours, please resend your email or Facebook message again as I might have missed it or it got buried along with the other emails/messages. God bless!